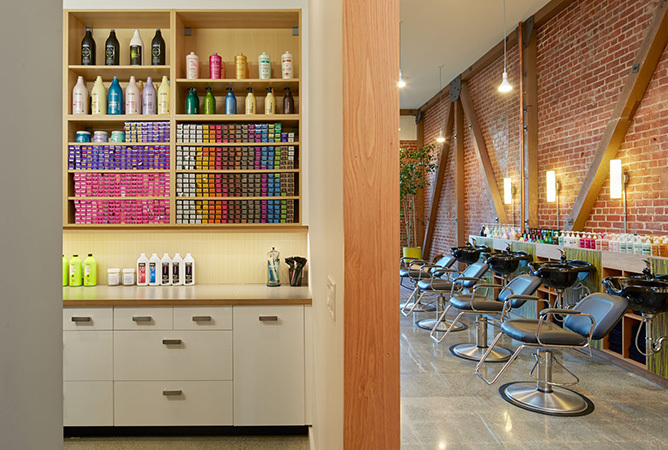 Our primary design challenge for this new salon was how to respond to a long, narrow space with limited access to natural light. 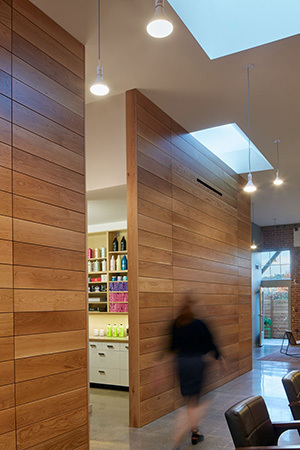 Our solution groups enclosed, support spaces along one side of the plan, introduces strategically placed skylights for ambient lighting, and locates the entry lobby and rear seating adjacent to generous window walls with views to the street and rear garden. 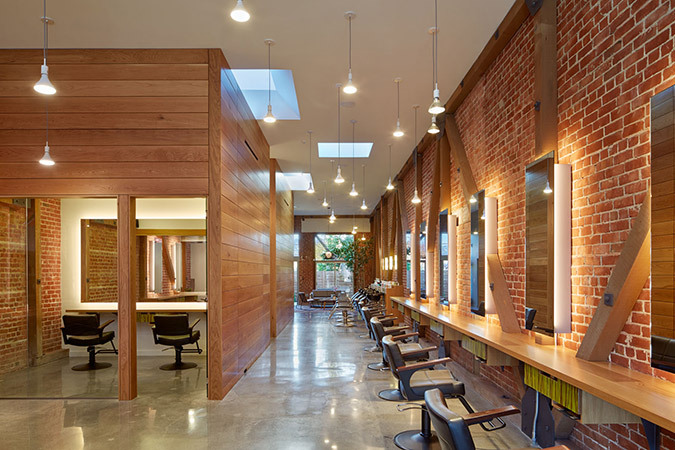 A combination of polished concrete floors, exposed brick walls, plaster ceilings, and white oak paneling combine to create a warm and light-filled space that compliments Grove Salon’s commitment to care and craft.